VINEYARDS: Selected vineyards in Appiano, with 15 - 22 years old vines. VINIFICATION: 1/3 of the wine is fermented in new barrique / tonneaux casks and 2/3 in used ones for 11 months, and then for 6 months in stainless steel tanks. "Wine Spectator" has rated the wine "St. Michael-Eppan San Michele Appiano Sanct Valentin Pinot Grigio Sudtirol - Alto Adige, Trentino-Alto Adige, Italy" the vintage 2014 on 31.08.2016 with 90 of 100 points. "Falstaff Magazin" has rated the wine "St. Michael-Eppan San Michele Appiano Sanct Valentin Pinot Grigio Sudtirol - Alto Adige, Trentino-Alto Adige, Italy" the vintage 2014 on 06.07.2016 with 89 of 100 points. "Falstaff Magazin" has rated the wine "St. Michael-Eppan San Michele Appiano Sanct Valentin Pinot Grigio Sudtirol - Alto Adige, Trentino-Alto Adige, Italy" the vintage 2013 on 21.01.2016 with 93 of 100 points. "Wine Enthusiast" has rated the wine "St. Michael-Eppan San Michele Appiano Sanct Valentin Pinot Grigio Sudtirol - Alto Adige, Trentino-Alto Adige, Italy" the vintage 2013 on 04.01.2016 with 87 of 100 points. "Wine Spectator" has rated the wine "St. Michael-Eppan San Michele Appiano Sanct Valentin Pinot Grigio Sudtirol - Alto Adige, Trentino-Alto Adige, Italy" the vintage 2011 on 31.05.2014 with 90 of 100 points. "Wine Enthusiast" has rated the wine "St. Michael-Eppan San Michele Appiano Sanct Valentin Pinot Grigio Sudtirol - Alto Adige, Trentino-Alto Adige, Italy" the vintage 2011 on 06.01.2014 with 86 of 100 points. "Wine Spectator" has rated the wine "St. Michael-Eppan San Michele Appiano Sanct Valentin Pinot Grigio Sudtirol - Alto Adige, Trentino-Alto Adige, Italy" the vintage 2010 on 30.04.2013 with 90 of 100 points. "Wine Enthusiast" has rated the wine "St. Michael-Eppan San Michele Appiano Sanct Valentin Pinot Grigio Sudtirol - Alto Adige, Trentino-Alto Adige, Italy" the vintage 2010 on 07.01.2013 with 90 of 100 points. "Wine Enthusiast" has rated the wine "St. Michael-Eppan San Michele Appiano Sanct Valentin Pinot Grigio Sudtirol - Alto Adige, Trentino-Alto Adige, Italy" the vintage 2009 on 03.01.2012 with 90 of 100 points. "Vinous Antonio Galloni" has rated the wine "St. Michael-Eppan San Michele Appiano Sanct Valentin Pinot Grigio Sudtirol - Alto Adige, Trentino-Alto Adige, Italy" the vintage 2009 on 01.09.2011 with 91 of 100 points. "Wine Spectator" has rated the wine "St. Michael-Eppan San Michele Appiano Sanct Valentin Pinot Grigio Sudtirol - Alto Adige, Trentino-Alto Adige, Italy" the vintage 2009 on 31.08.2011 with 90 of 100 points. "Vinous Antonio Galloni" has rated the wine "St. Michael-Eppan San Michele Appiano Sanct Valentin Pinot Grigio Sudtirol - Alto Adige, Trentino-Alto Adige, Italy" the vintage 2008 on 01.02.2011 with 89 of 100 points. "Wine Enthusiast" has rated the wine "St. Michael-Eppan San Michele Appiano Sanct Valentin Pinot Grigio Sudtirol - Alto Adige, Trentino-Alto Adige, Italy" the vintage 2008 on 11.01.2010 with 89 of 100 points. 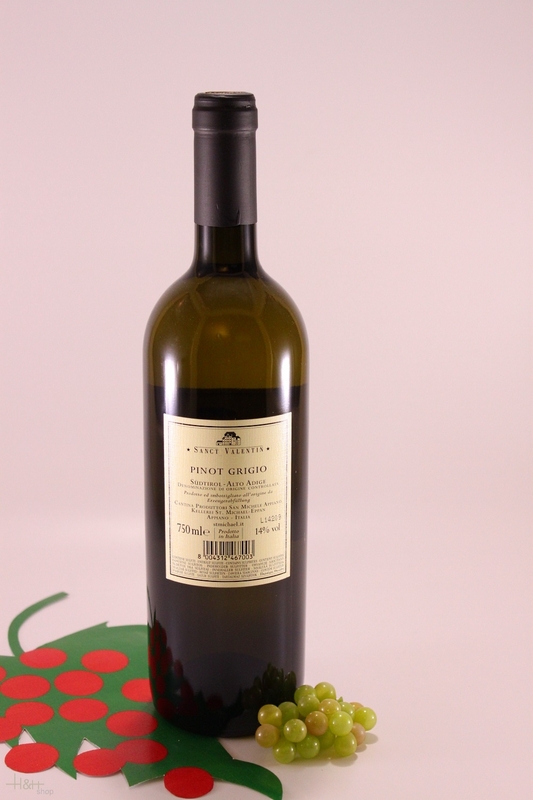 "Vinous Antonio Galloni" has rated the wine "St. Michael-Eppan San Michele Appiano Sanct Valentin Pinot Grigio Sudtirol - Alto Adige, Trentino-Alto Adige, Italy" the vintage 2007 on 01.10.2009 with 87 of 100 points. "Wine Spectator" has rated the wine "St. Michael-Eppan San Michele Appiano Sanct Valentin Pinot Grigio Sudtirol - Alto Adige, Trentino-Alto Adige, Italy" the vintage 2007 on 31.08.2009 with 92 of 100 points. "Wine Spectator" has rated the wine "St. Michael-Eppan San Michele Appiano Sanct Valentin Pinot Grigio Sudtirol - Alto Adige, Trentino-Alto Adige, Italy" the vintage 2006 on 31.08.2008 with 91 of 100 points. "Wine Spectator" has rated the wine "St. Michael-Eppan San Michele Appiano Sanct Valentin Pinot Grigio Sudtirol - Alto Adige, Trentino-Alto Adige, Italy" the vintage 2005 on 15.11.2007 with 89 of 100 points. "Wine Spectator" has rated the wine "St. Michael-Eppan San Michele Appiano Sanct Valentin Pinot Grigio Sudtirol - Alto Adige, Trentino-Alto Adige, Italy" the vintage 2004 on 15.11.2006 with 92 of 100 points. "Wine Enthusiast" has rated the wine "St. Michael-Eppan San Michele Appiano Sanct Valentin Pinot Grigio Sudtirol - Alto Adige, Trentino-Alto Adige, Italy" the vintage 2003 on 02.01.2006 with 86 of 100 points. "Wine Spectator" has rated the wine "St. Michael-Eppan San Michele Appiano Sanct Valentin Pinot Grigio Sudtirol - Alto Adige, Trentino-Alto Adige, Italy" the vintage 2002 on 31.03.2005 with 90 of 100 points. "CellarTracker" has rated the wine "St. Michael-Eppan San Michele Appiano Sanct Valentin Pinot Grigio Sudtirol - Alto Adige, Trentino-Alto Adige, Italy" the vintage 2006 with 91 of 100 points. 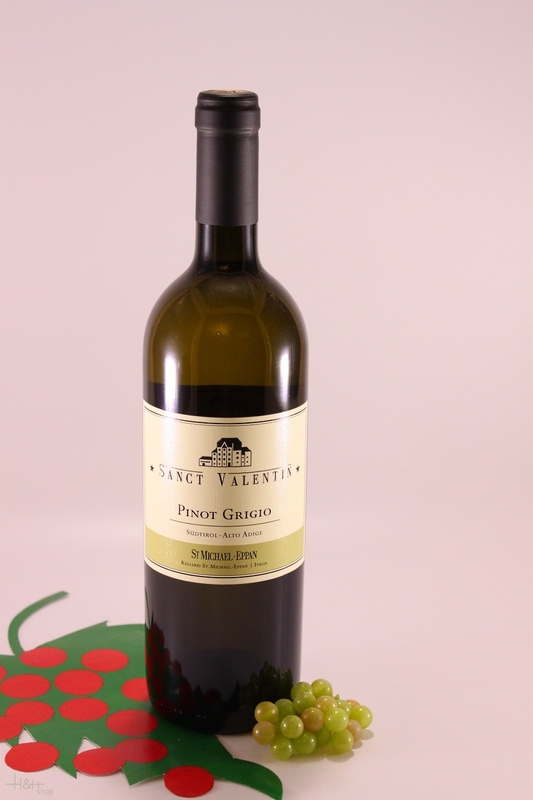 "Stephen Tanzer" has rated the wine "St. Michael-Eppan San Michele Appiano Sanct Valentin Pinot Grigio Sudtirol - Alto Adige, Trentino-Alto Adige, Italy" the vintage 2009 with 91 of 100 points. The Lagrein St. Valtentin is easily recognisable thanks to its almost black colour. Complex cocoa and Prunella aromas, dark fruits of the forest and vanilla typify the bouquet, which are spread in a complex way. The wine unleashes an immense strength on the palat. It possesses a finely-integrated structure and smooth-strong tanning agents that linger harmoniously in the mouth.